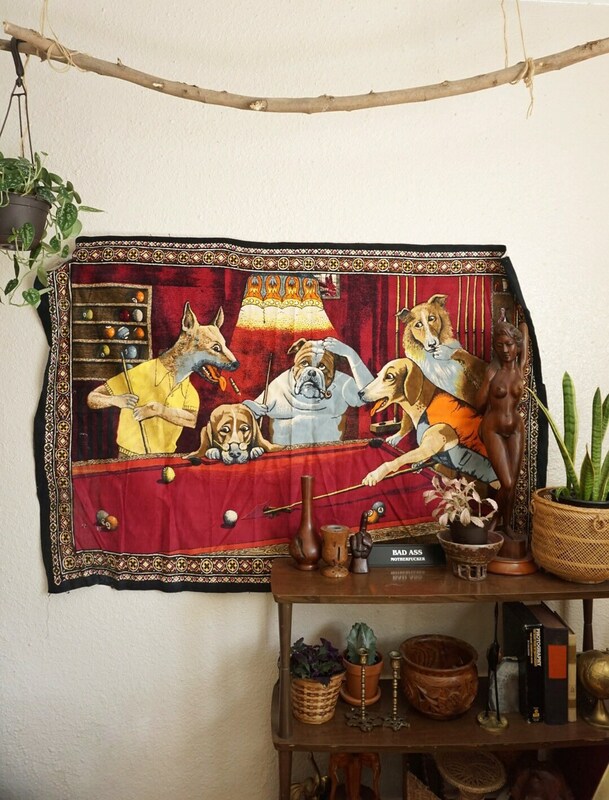 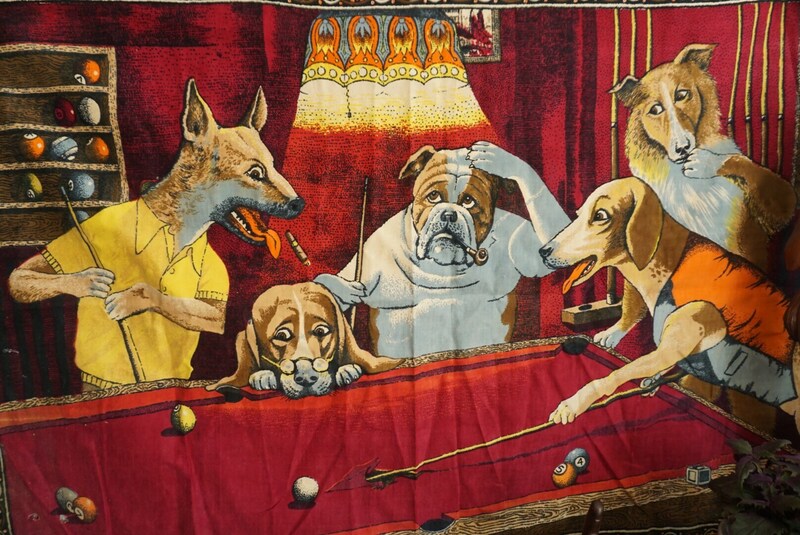 Classic dogs playing pool scene textile piece. 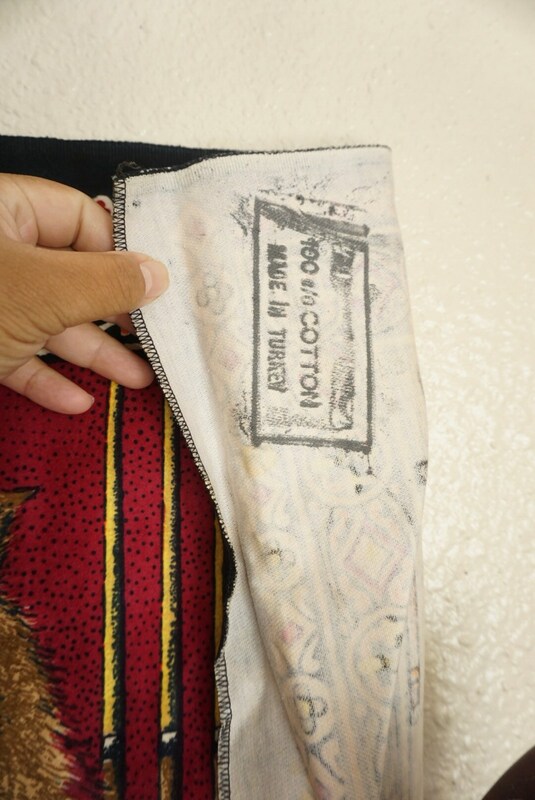 Velvet-like front side but made with cotton material and made in Turkey. 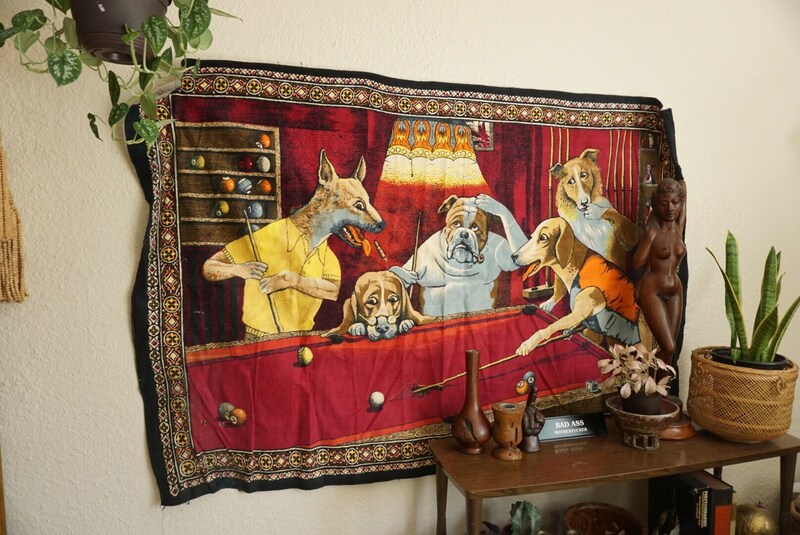 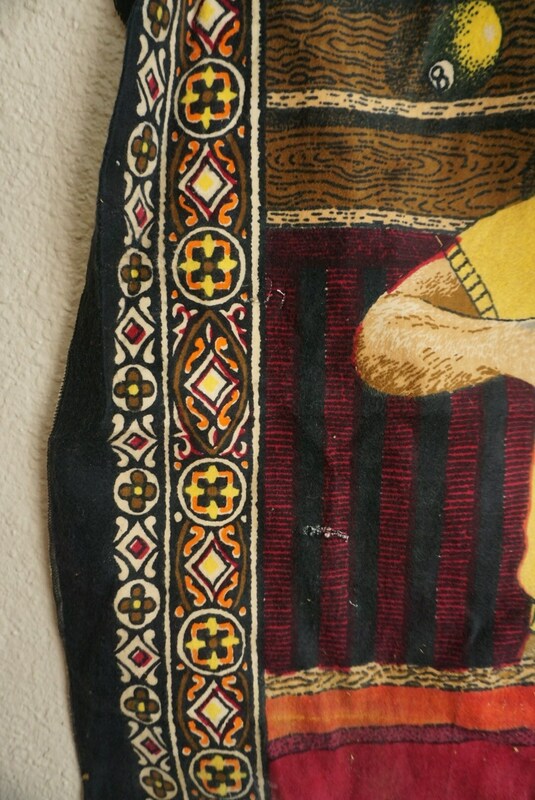 Great detailing and a gorgeous piece for the wall, as a throw, rug, table cloth, etc. 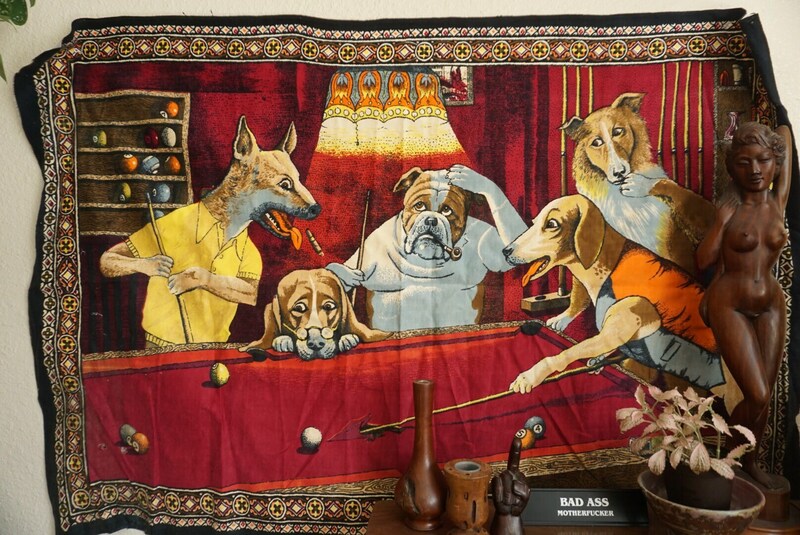 Large which would look perfect as a wall hanging, throw blanket, rug, etc. 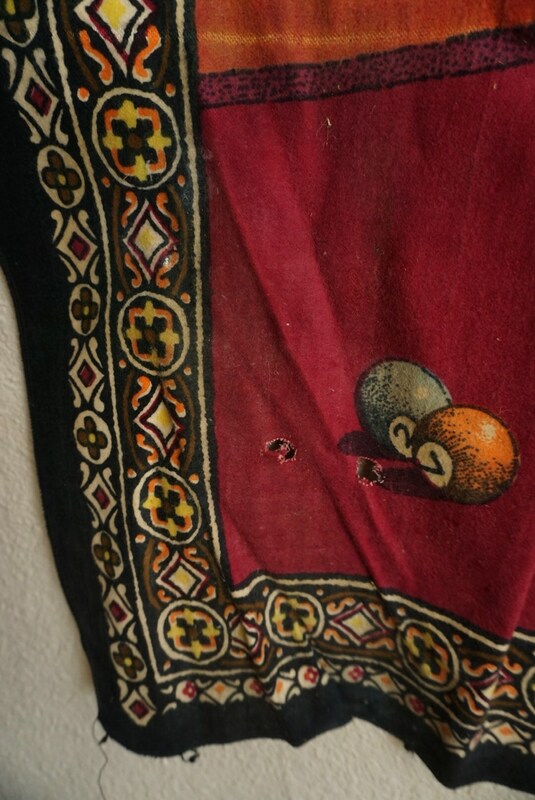 Vintage condition with significant wear from age and use. 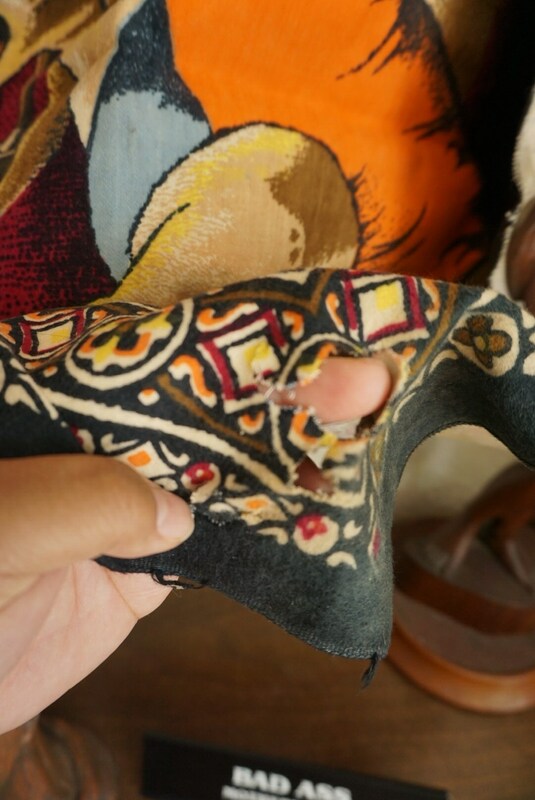 There are various spots of tears and holes (see photos). 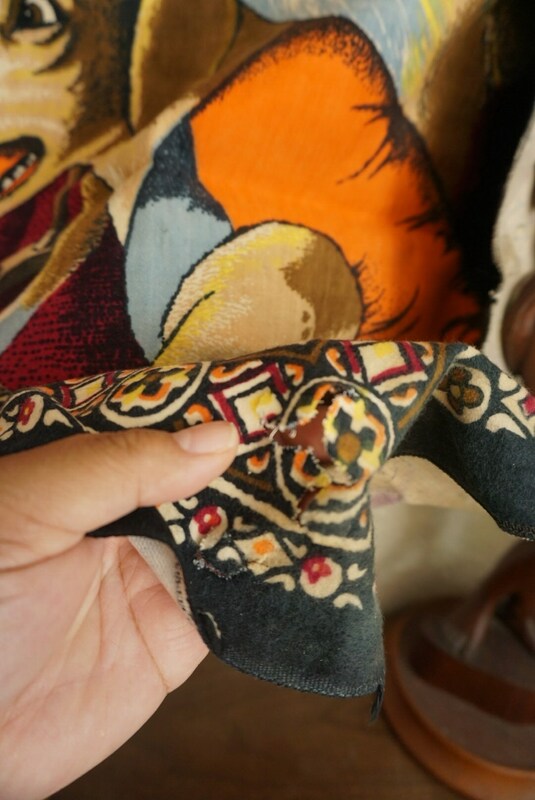 Some fading in small spots. 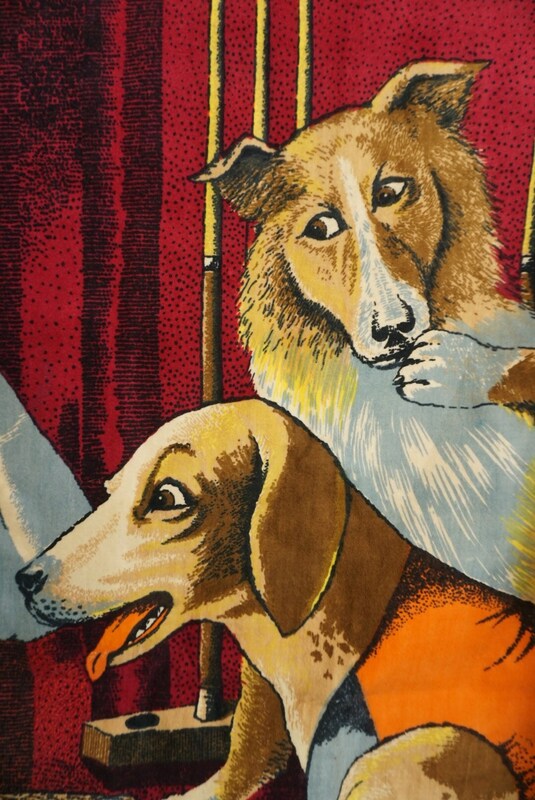 Has been washed but there is a stain on the backside.